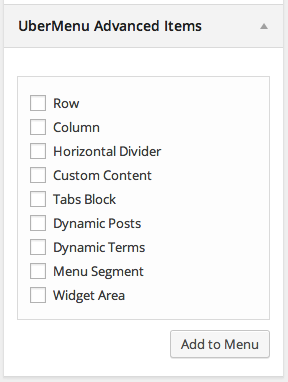 To add content to your menu, use the lists of available menu items in the left column. The content on your site is organized into sections based on the content type – Posts, Pages, Custom Post Types, and Taxonomies (tags, categories, and custom taxonomies). Please note that the menu items available to you are based on the content present on your site, so what you see on your site will be different from the menu items available in the demo tutorials, for example, which include custom post types which your site will not include by default. To reveal additional menu item types, click the Screen Options tab in the upper right of your Menus panel. To reorganize your menu items, drag and drop them into the order you want. You can assign this menu to a specific theme location (just as in the Manage Locations tab) by checking the appropriate theme location in the box below the menu items. To save your menu structure, click the Save Menu button. A submenu is created any time a menu item has a child item. To assign a child item, add a menu item to your menu, then drag that menu item so that it is indented below its parent item. A submenu will automatically be generated to contain all child items of a menu item. 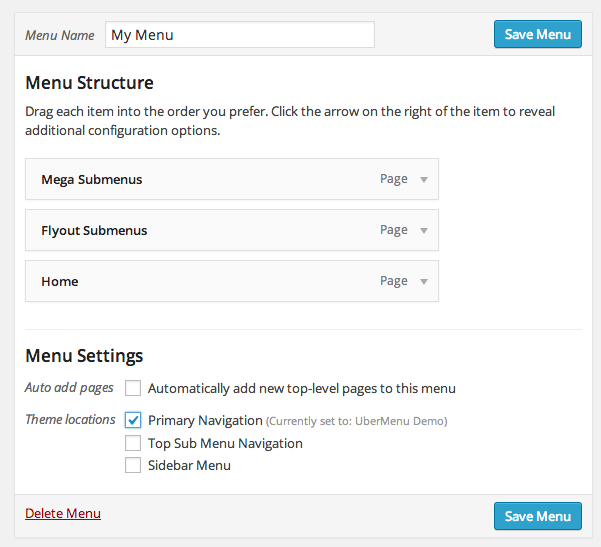 Organize your menu into a hierarchical structure which will be transformed into a navigation menu layout. 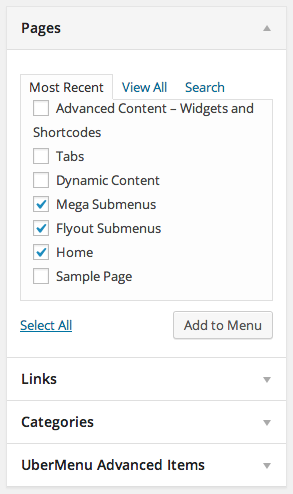 The UberMenu Advanced Items provide advanced menu functionality like Tabs, Columns, Widgets, and more. They are added to the menu just like normal menu items. Please see Advanced Menu Items for more information.